As part of the Tout l’Monde Dehors summer festival, films will be screened at locations around the city all season long, from silent films of the 20s to recent additions. 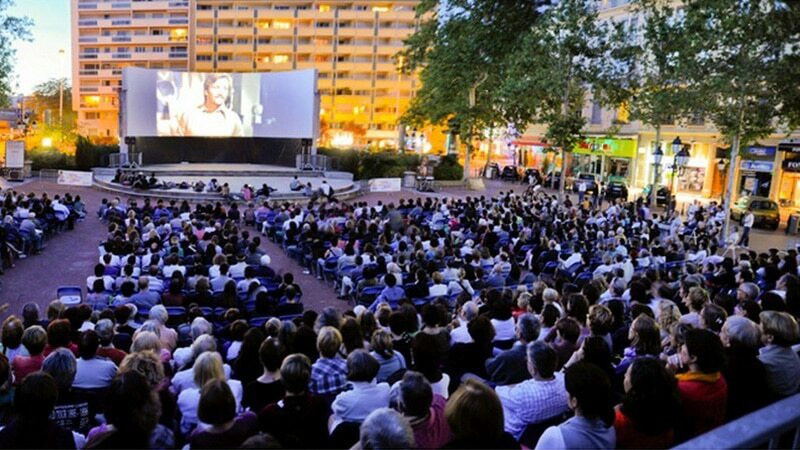 The Tout l’Monde Dehors festival is offering outdoor cinema through the summer as part of this season’s program, taking over Lyon’s squares and parks with films from all genres. As part of the festival, all the screenings are free and open to the public. On July 13, Place Mazagran will host a showing of “Toujours le Printemps,” a political documentary from F. Benoît and J. Malassigné. The film runs from 10 to 11:30 p.m. The Institut Lumière offers a large selection as part of their “L’été en Cinémascope” at Place Ambroise Courtois. Films are shown July 17 at 10 p.m., July 24 at 9:45 p.m., August 14 and 21 at 9:30 p.m., and August 28 at 9 p.m.
On the list is “Vincent, François, Paul et les autres” from Clause Sautet, Takeshi Kitano’s “Hana-bi,” Rodrigo Sorogoyen’s “Que Dios Nos Perdone,” and Ridley Scott’s “Thelma and Louise” among others. Garth Davis’s biographical drama “Lion” will be screened at Place Compas Raison on July 20 starting at 10 p.m. The MJC Monplaisir is showing three nights of foreign films around the 8th arrondissement. A film will be shown at the Parc du Clos Lavat on July 20 at 9:50 p.m., at Place Julien Duret on July 27 at 9:30 p.m., and at the Residence Albert Laurent on August 30 at 8:30 p.m.
Down in Confluence at the corner of Quai Rambaud and Quai Antoine Riboud, Péniche Fargo will host its annual Festival Cinéfil. The festival covers three nights with concerts and short films, from July 27 to 29, 8:30 to 11:30 p.m. each night. Up at Place de la République, the associations Nuées d’images and ZA are joining forces to offer two nights of interactive film. On August 15 and 16 starting at 9:30 p.m. the public is invited to come view “Une Histoire Simple,” an interactive film where the audience chooses the actions of the four main characters. The Ensemble Ménilmontant will give a ciné-concert at Parc de la Cerisaie on August 24, from 9 to 11 :30 p.m. The concert will showcase silent films from the 1920s and ‘30s backed by live music from the ensemble. On August 27 a cinema debate called Le Ciné-Citoyen will be held at the Esplanade de la Grande-Côte. From 8 to 11:30 p.m., come discuss different themes and challenges facing the cinematic world today. Finally, on August 31 starting at 9 p.m. Ludovic Bernard’s “L’Ascension” will be screened at Gorge de Loup in the 9th.